Carmen Meinert holds the chair for Central Asian Religions at the Center for Religious Studies (CERES) - a unique position in Religious Studies at German universities. Trained in Buddhist Studies, Tibetan Studies and Sinology, she aims to develop the field of Central Asian religions more systematically - also through international cooperations - and to integrate Central Asian and Tibetan Studies, so far niched in small disciplines and unrelated to other fields, into the larger framework of Comparative Religious Studies. Thereby in-depth philological, art historian or other case studies will become relevant to other fields - also connecting Central Asia to the geographically surrounding area studies in the East, West and South. By so doing, the academic discipline of Central Asian religions may mirror the pivotal role Central Asia has played throughout history. 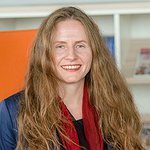 Carmen Meinert has studied and conducted research at the Universities of Bonn, Hamburg, Peking University, Sichuan University in Chengdu, Vienna, and at the renowned Institute of Advanced Study in the Humanities, Essen. She had already been involved with Ruhr University Bochum before she became professor at CERES as a lecturer in the Department for East Asian Studies, a substitute professor for East Asian religions (twice), and a visiting research fellow at the prestigious Käte Hamburger Kolleg Dynamics in the History of Religions between Asia and Europe. 2018. Buddhist Encounters and Identities Across East Asia, ed. by Carmen Meinert, Ann Heirman and Christoph Anderl, Dynamics in the History of Religion, Vol. 10, Brill, 436 pages. 2015. Transfer of Buddhism Across Central Asian Networks (7th to 13th Centuries), edited by Carmen Meinert, Dynamics in the History of Religion, Vol. 8, Brill: Leiden, 333 pages. ---. 2010b. Introduction. In: Buddhist approaches to human rights: dissonances and resonances, 9–20. doi:10.14361/9783839412633-intro, https://doi.org/10.14361/9783839412633-intro">https://doi.org/10.14361/9783839412633-intro.